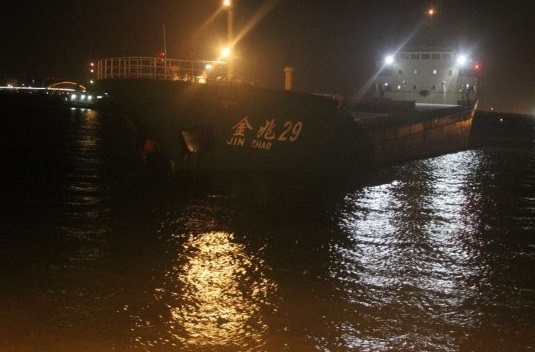 The general cargo ship Jin Zhao 29 ran aground at Dadan island northern coast off Xiamen, China. The vessel was proceeding through Taiwan Strait in bad weather and strong winds, but lost steering gear and grounded on the rocky shallow. 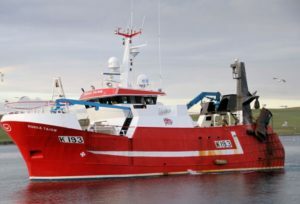 The vessel hardly stuck into the rocks and the hull was breached below the water line in Cargo Hold 1 area. 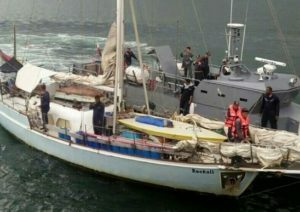 The hold suffered water ingress and under the danger from coming typhoon Nepartak, the crew requested immediate assistance from the local authorities. All the seamen from the vessel were evacuated and salvors succeeded to stabilize and refloat the general cargo ship Jin Zhao 29. The vessel was towed to Xiamen and docked for further repairs and inspection. During the accident there were no injured people and no water pollution. Into the salvage operation were engaged 3 tugs and several rescue boats, which were pushed to perform refloating accordingly before coming typhoon. The authorities started investigation for the root cause of the accident. The general cargo ship Jin Zhao 29 has overall length of 105.00 m, moulded beam of 16.00 m and maximum draft of 4.50 m.